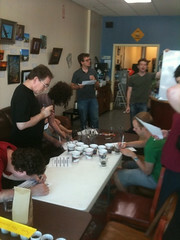 Andy has a goal of doing 1 cupping or other educational coffee service one Saturday per month. We need to keep on him so he sets up the dates in advance! July is getting away from us!